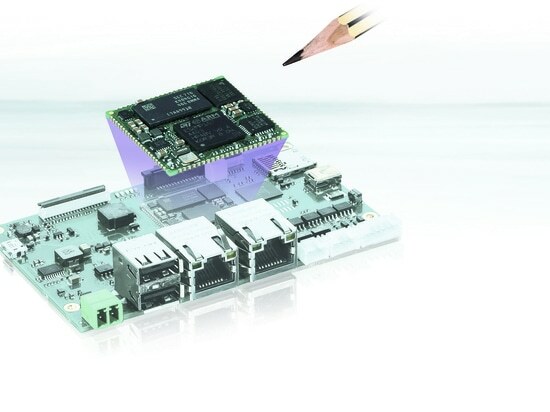 Kontron, one of the world's leading providers of Embedded Computer Technology (ECT), has introduced a new series of compact Computer-on-Modules based on the latest generation Intel® AtomTM, Pentium® and Celeron® processors. 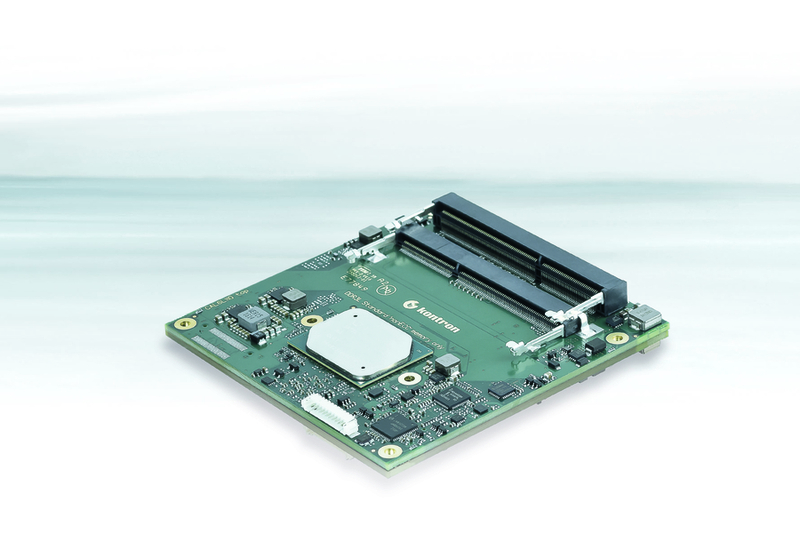 The new COMe-cAL6 COM Express compact Type 6 module is highly scalable and covers the entire range of Intel's latest IoT-ready embedded processors. The COMe-cAL6 series comprises modules with cost-efficient dual-core configurations for indoor digital signage applications as well as top performance quad-core modules for deployment in harsh outdoor environments at temperature levels from -40 °C to +85 °C. Due to this high level of scalability, customers are able to choose from a wide range of modules that precisely fit their individual needs. This helps to reduce costs to a minimum. 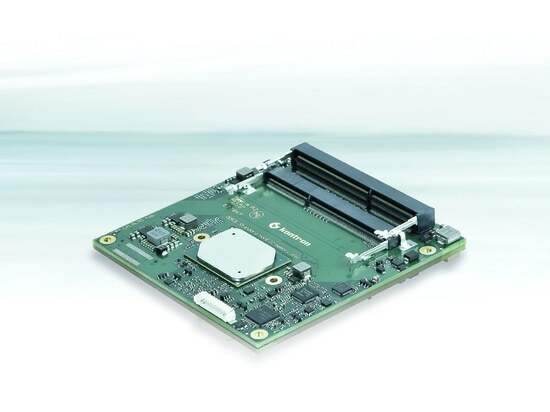 The COMe-cAL6 module extends the existing Intel® SoC-based COM Express® portfolio to embrace especially powerful compact variants with full COM Express Type 6 I/O support including PCI Express, LAN, USB and Digital Display interfaces. The new COMe module combines state-of-the-art image processing and graphics capabilities with extensive real-time computing. 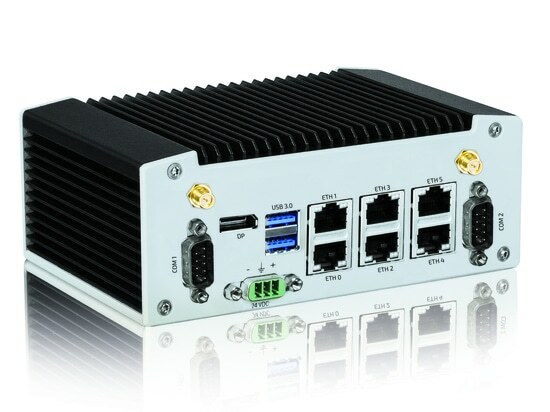 Users benefit from a significantly improved computing performance, an impressive performance-per-watt ratio and the long-term availability inherent in all Kontron embedded solutions. Target industries include POS/POI and kiosk systems, digital signage solutions, gaming and medical PCs as well as HMIs and controllers in industrial machinery and equipment. With the implementation of the new COMe-cAL6 series customers also benefit from Kontron’s extensive software and customization services, which put them in a position to realize their new SFF designs faster and more efficiently. An added advantage for developers is the integration of Kontron’s standard hardware-based embedded Security Solution Approtect. Kontron is the first embedded computing supplier to offer full security protection embedded in its COM and motherboard offerings. A broad range of module variants, based on five different processor types, make up the COMe-cAL6 portfolio. Versions range from a cost optimized dual-core Intel Celeron (2x 1.1/2.4 GHz with 6W TDP) iteration optimized for energy-sensitive applications to genuine quad-core Intel Atom (4x 1.6/2.0 GHz with 12W TDP) and Intel Pentium (4x 1.1/2.5 GHz with 6W TDP) versions for high-end applications. The new Intel Gen 9 HD low-power graphics integrated on the SoC with up to 18 Execution Units provides 4K encode/decode algorithms supporting HEVC, H.264 and VP8/VP9. The COMe-cAL6 supports three independent displays - 2x DP++ (DP/HDMI/DVI) 4096x2160@60Hz , 1x Single Channel LVDS with eDPtoLVDS (eDP on request) 3840x2160@30Hz. The memory is laid out as dual-channel DDR3L SODIMMs.The module comes with two SATA II 300 Mbps interfaces and optionally eMMC memory up to 128 GB. 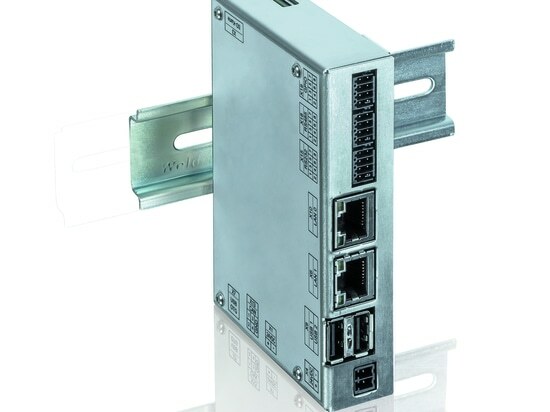 In addition two serial ports, substantial USB support with four USB 3.0 interfaces, up to eight USB 2.0, Gigabit Ethernet, as well as up to five PCI-Express Gen2 lanes for customer specific expansions are supported. The COMe-cAL6 comes with support for Windows 10, Windows 10 IoT, Linux and VxWorks 7.0. 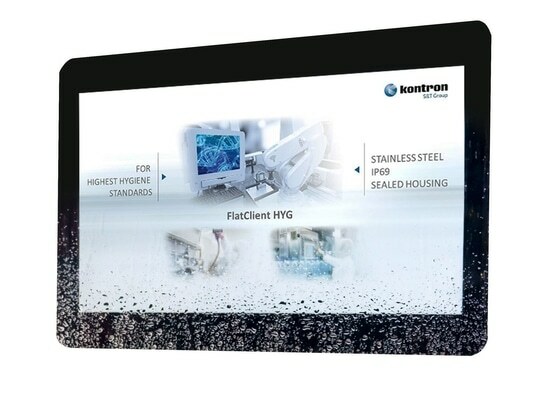 A printable picture of Kontron's new COMe-cAL6 series is available here: http://bit.ly/2hlSLDm. For more information on Kontron's new COMe-cAL6 series, please visit: http://bit.ly/2hphuUN.